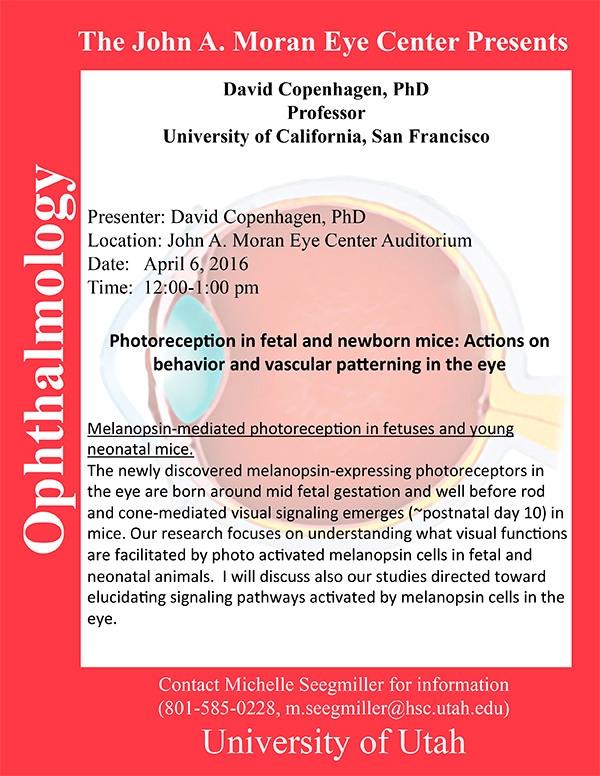 David Copenhagen, Professor of Ophthalmology and Physiology at University of California, San Francisco will be delivering a seminar on “Photoreception In Fetal And Newborn Mice: Actions On Behavior And Vascular Patterning In The Eye” on Wednesday, April 6th at 12:00 Noon in the Moran Eye Center auditorium. Melanopsin-mediated photoreception in fetuses and young neonatal mice. The newly discovered melanopsin-expressing photoreceptors in the eye are born around mid fetal gestation and well before rod and cone-mediated visual signaling emerges (~postnatal day 10) in mice. 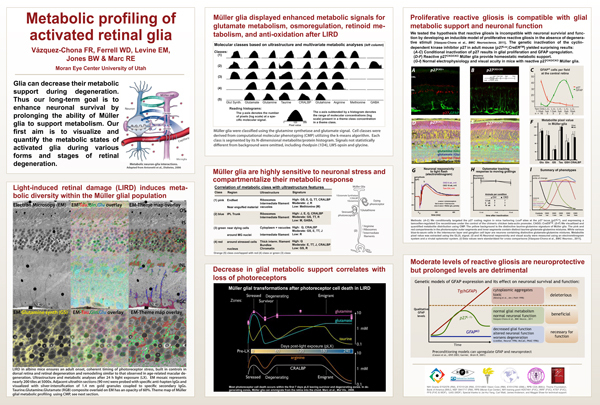 Our research focuses on understanding what visual functions are facilitated by photo activated melanopsin cells in fetal and neonatal animals. I will discuss also our studies directed toward elucidating signaling pathways activated by melanopsin cells in the eye.